Store your ammo in real wood ammo crates like the military! Stack your ammo high without creating a leaning tower of ammo cans or wrecking the ammo can seals. 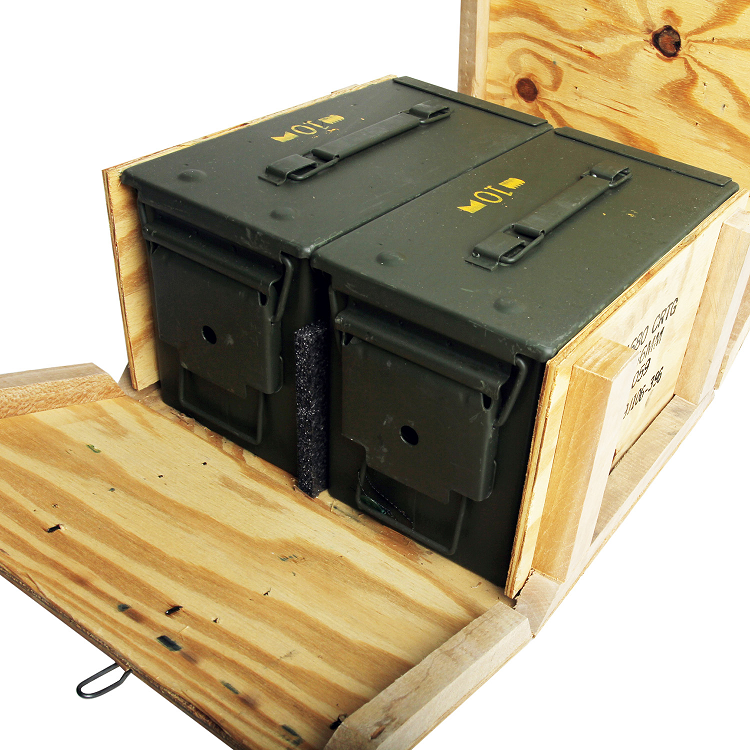 Inside each ammunition crate are two high quality, "once-opened," M2A1 50 cal size metal ammo cans in like-new condition. 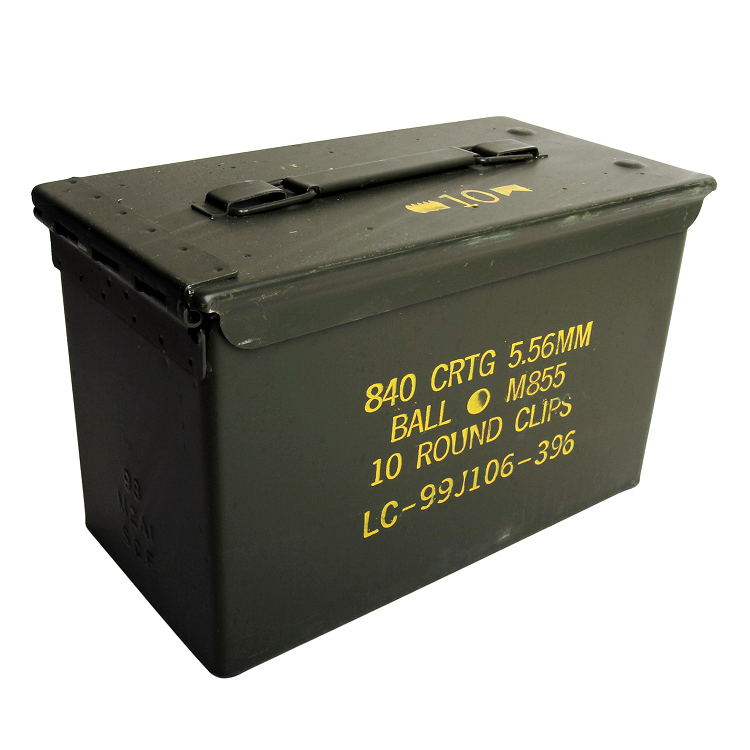 These are the cleanest surplus ammo cans available online, and the only 50cal sized cans available in an original, matching wood ammunition crate. 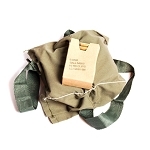 Each crate of ammo cans is individually packaged in a cardboard box to prevent damage to the ammo crate during shipping. The ammo crates are made of a variety of different wood types depending on production lot to include green treated. 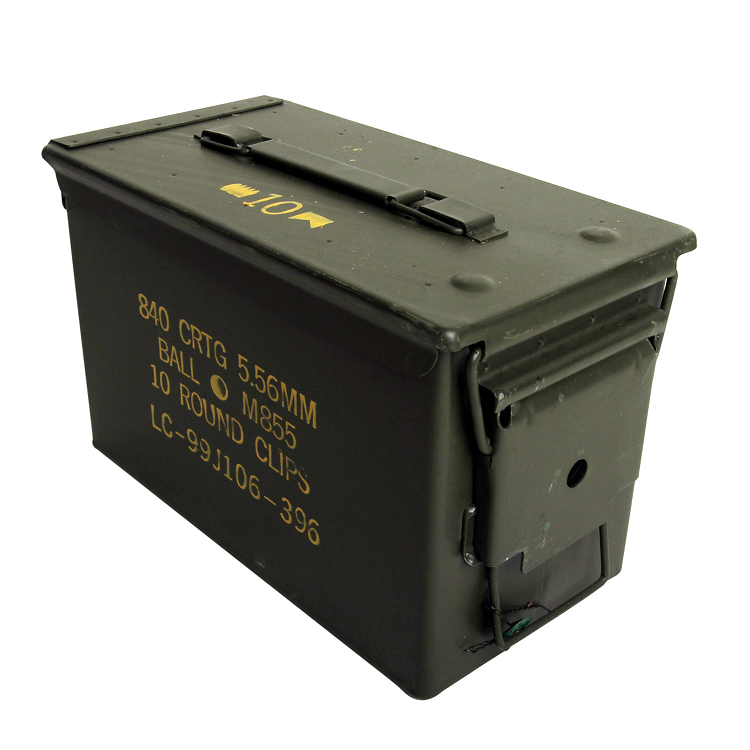 Most of the M2A1 ammo cans are labeled for 840rds of 5.56mm ammunition in yellow stencil font. Depending on the specific production lot, it is also possible the particular batch of ammo cans will not have any labeling on the exterior. 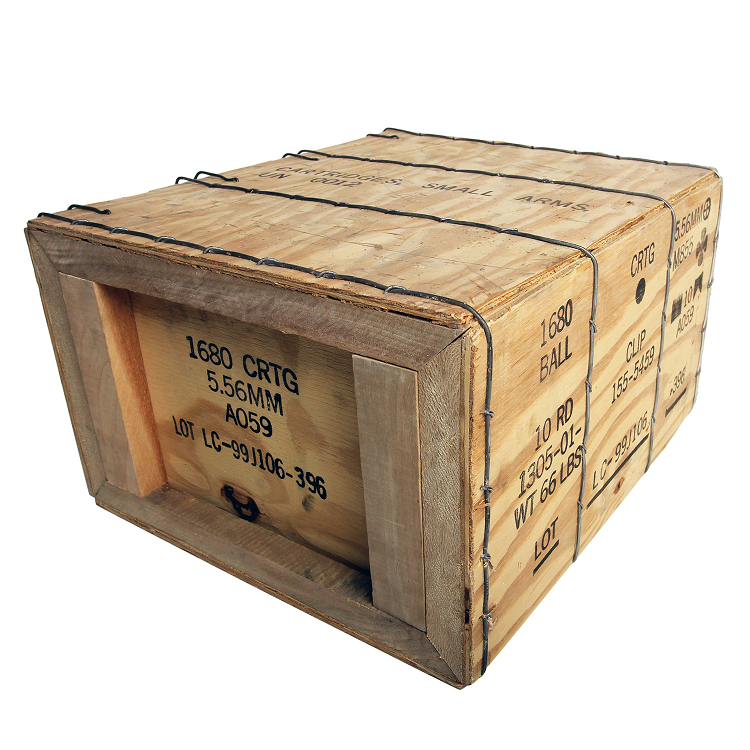 Some of the ammo cans may have scuffs from jostling around inside the crate during shipping, but otherwise are in like new condition! 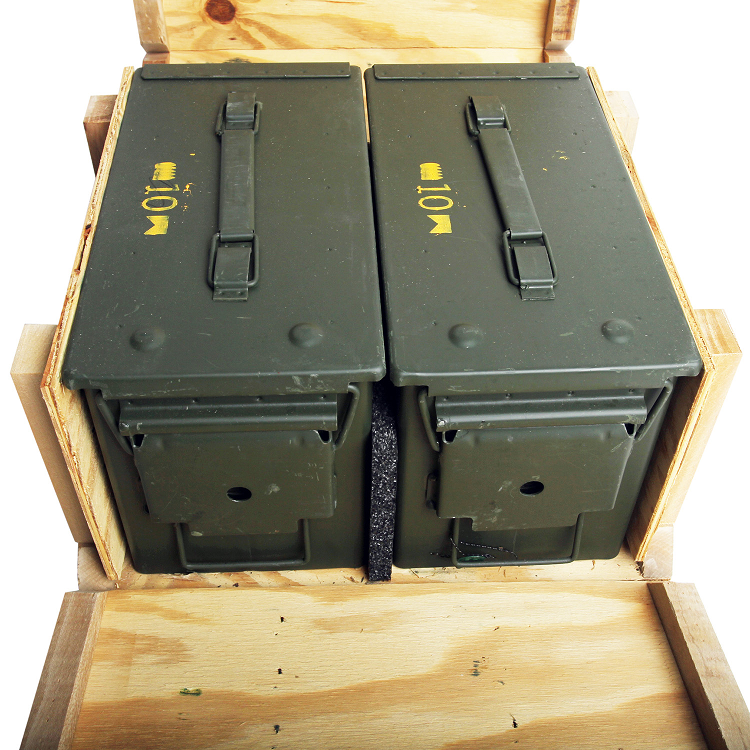 Ammo cans in the wood ammunition crates are the ideal solution for stable, well-organized, waterproof, longterm ammo storage. The crates also make a good platform for a variety of do-it-yourself projects and are a great complement to any gun collection. 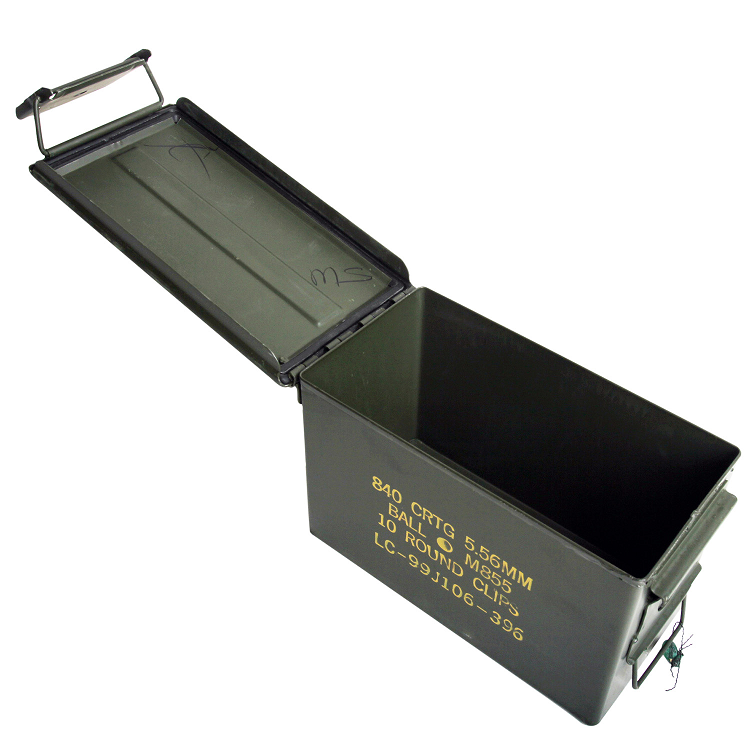 Ammo cans are also a great way to organize reloading supplies, spent brass, projectiles, reloaded ammunition, make great tool boxes and are a unique gift idea for the gun guy that has everything. The cans and crate were like brand new. 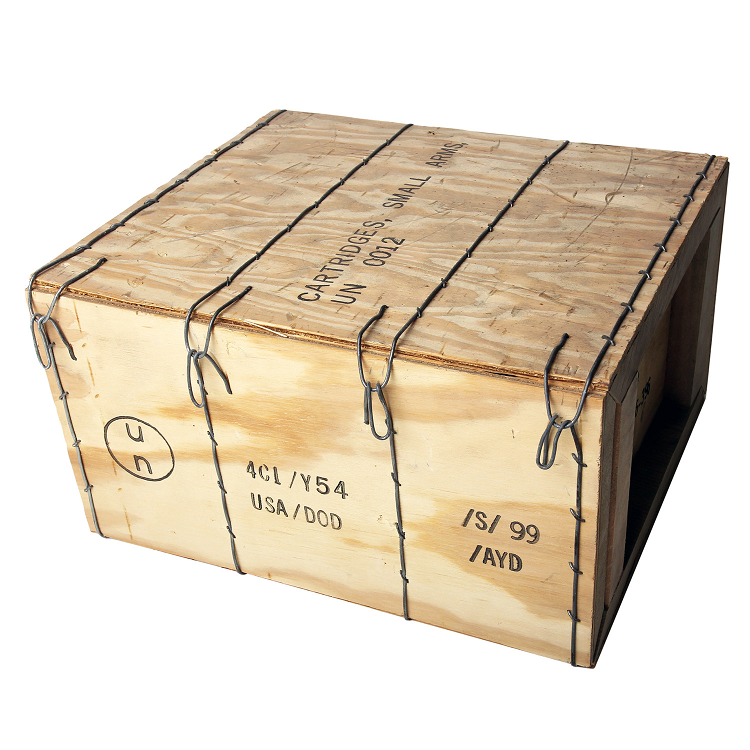 The wire latches on the crate were not cut so the crate can be sealed up just like when it left the factory. I have ordered twice and both experiences were great. Regarding the cans, they are in fantastic shape and come packaged in a way that would be almost impossible for them to sustain damage. Interior seals are in great shape. Price on these are super competitive, in line with plastic cans. Can’t go wrong with purchasing these. Excellent cans and wooden crate. I am glad I found this site since these are some of the best cans I have ever found. The wooden crate is also a nice touch. I highly recommend their products. The cans look brand new and arrived fast. Great cans! Great communication. Highly recommended.